Tuesday I linked up with JD at Honest Mom for her Honest Voices party to tell the story of our First Best Independence Day. Ever. Wednesday, I had two posts at Her View From Home - a guide to gluten free barbeque (or is it "barbecue"?) and a mom-approved list of YouTube sites for kids. Find them both here. My latest post on Mamalode is called Mommy's Little Healer. If you haven't read it yet, please do. It's the story of how Edgie (formerly Baby E) helped to heal my grief after Joey's death. I shared this one by Kim of Let Me Start By Saying last week. Christie, whose blog is christineorgan.com, shares a very personal and heartbreaking experience here. She is by far one of the most beautiful writers I know. And finally, Nicole of Nicole Shaw, Tyop Aretist (formerly Ninja Mom) shares an account of her kids' day at the "beach." Treat yourself to her writing - it's witty and clever and makes you laugh AND think at the same time (imagine that!). 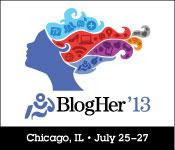 On Monday, I was thrilled to find out that I had been honored as one of BlogHer's 2013 Voices of the Year for my post Pictures Can Lie. This is a huge honor in the blogging community, and I'm honestly floored to have been chosen among some of the very talented writers out there. See the whole list of honorees here, and do yourself a favor by reading some of their work. 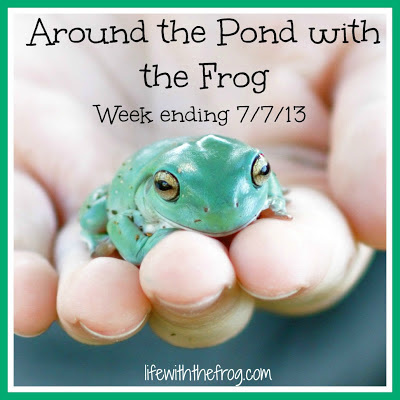 Are you following kissing the frog on Bloglovin' yet? The best place to follow all the blogs you love (especially this one, ahem . . .) is on Bloglovin'. You can click on the Bloglovin' button at the top of this page (most other blogs have them now, too) or click here to add ktf RIGHT NOW so you never miss another post! Resume your regularly scheduled fun.